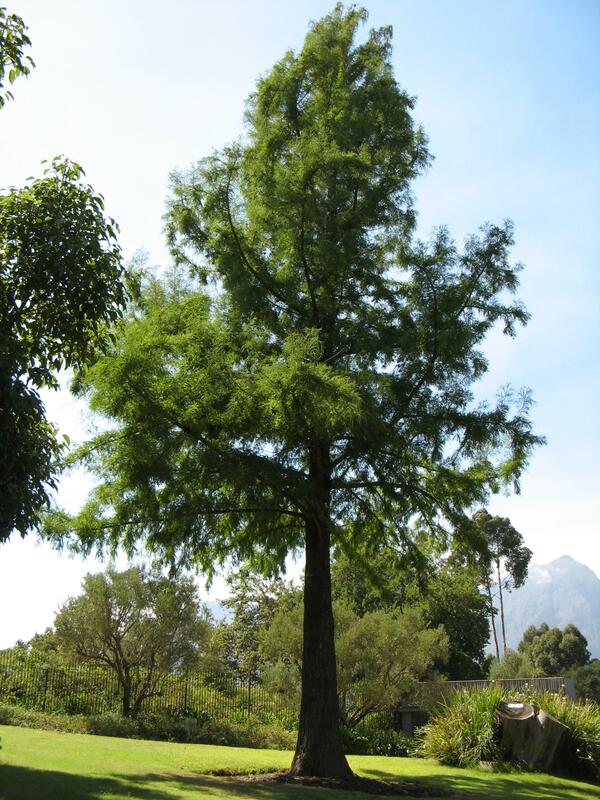 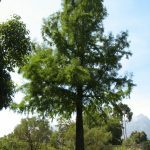 In 2005, we rescued a mature Swamp Cypress (Taxodium distichum) from Die Boord in Stellenbosch. 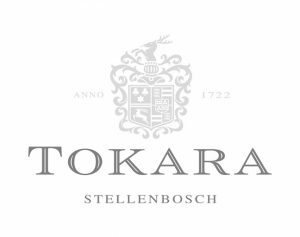 We then rehabilitated the tree for 3 years in our mature tree nursery, and later relocated it to its new permanent location at Tokara Wine and Olive Farm on the Helshoogte Road just outside Stellenbosch. 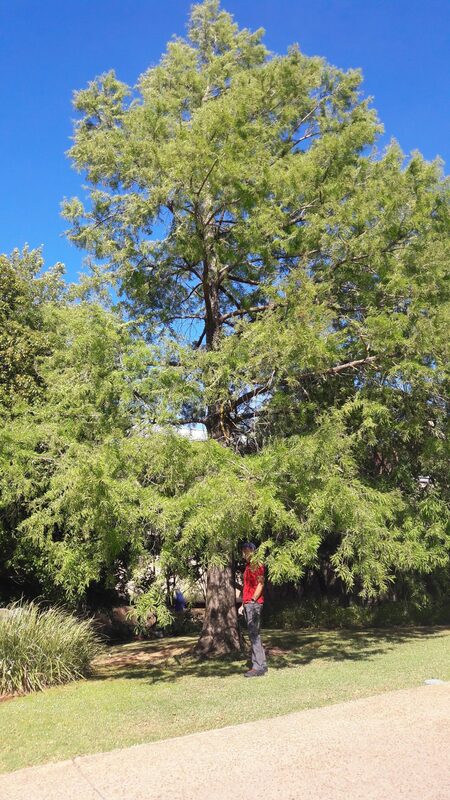 We believe the new location matches the splendour and majesty that this Swamp Cypress embodies. 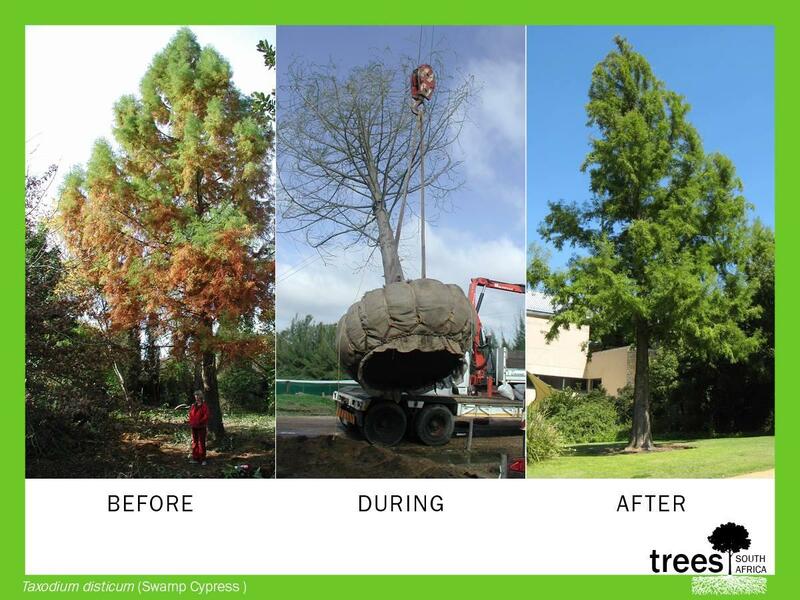 Standing proud at 20 metres with a crown width of 10 metres, following a period of 3 years of aftercare by Trees SA, this tree has now successfully established in its new home, and will bring shade and joy to many more generations to come. 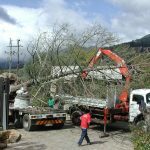 Transporting this giant within Die Boord suburb really turned some heads as we headed down the streets with a tree that is 3 times our truck length (see photos in gallery)! 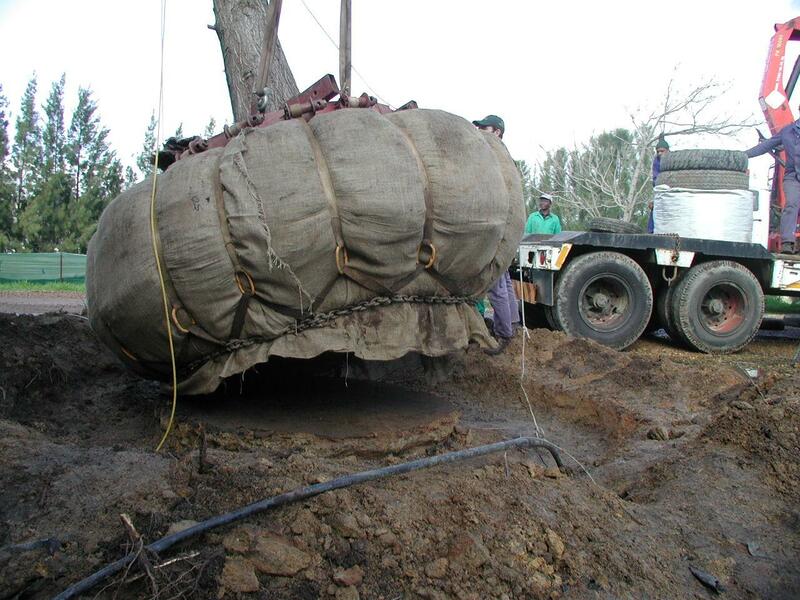 The tree was then placed on a long loadbed truck and taken to our mature tree nursery for rehabilitation. 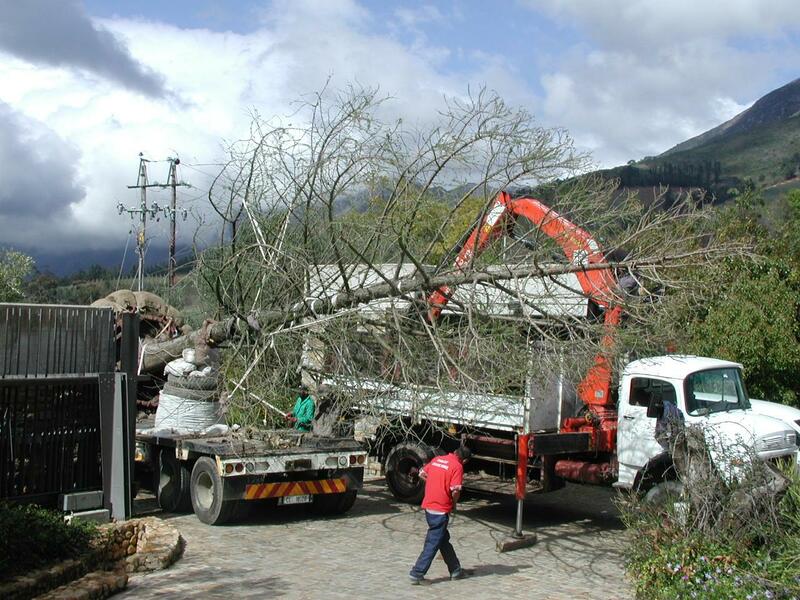 Three years later, the tree was transported using a specialised Newman rootball frame as well as a stem support frame to stabilize the tree on its journey to Tokara on the long loadbed truck. 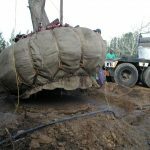 This ensured zero distortion of the 8 ton rootball and the subsequent relocation success. 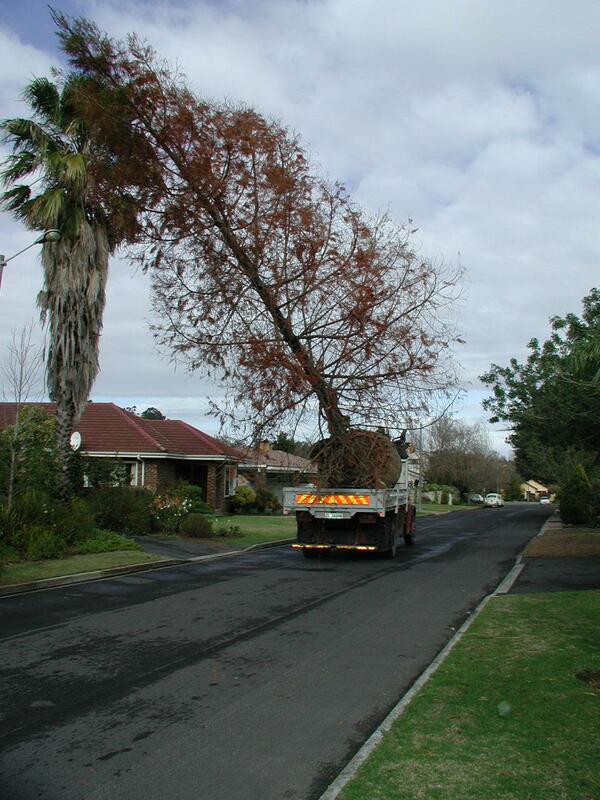 But don’t take our word for it. 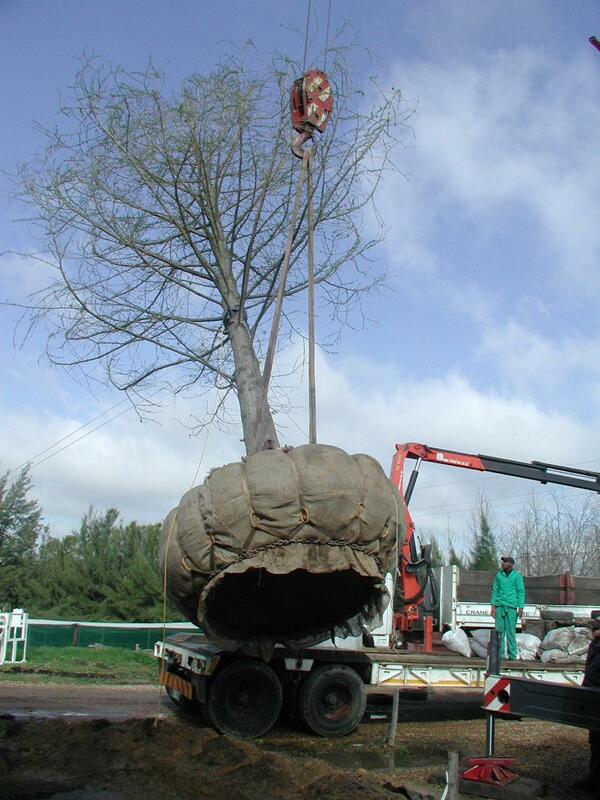 Take a drive to Stellenbosch winelands and have a look at the gentle giant for yourself! 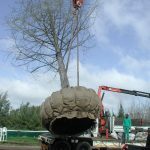 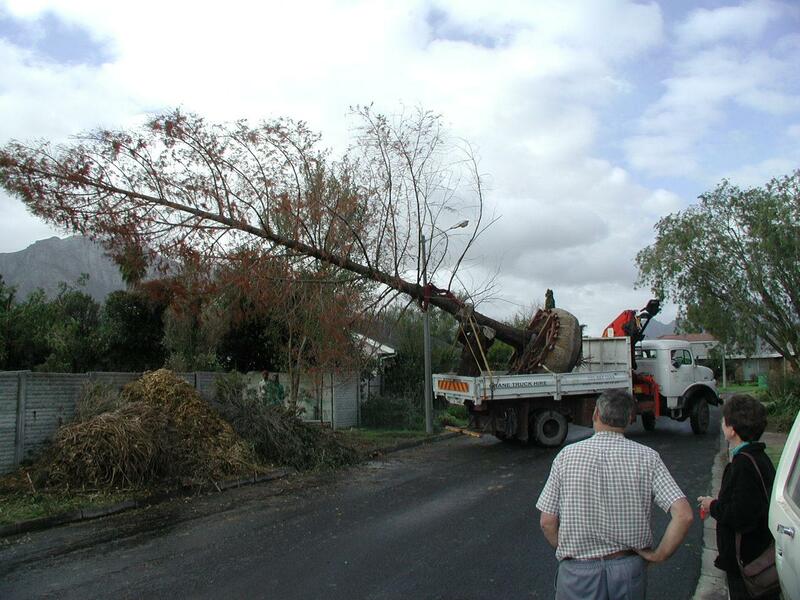 Trees SA – the mature tree experts. 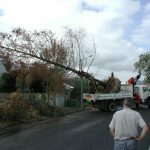 This article was also posted on our Facebook page. 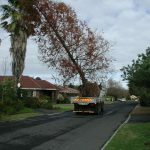 13 Years later, the tree is completely independent and THRIVING!